Insomnia is a sleep disorder characterized by no sleep, little sleep, or poor sleep. It may be chronic or temporary, and can be caused by a variety of factors. 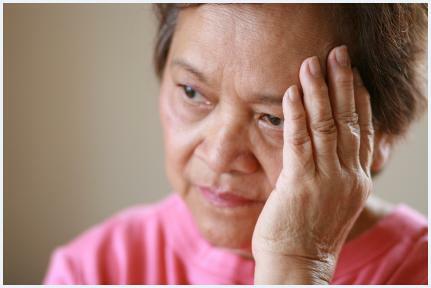 Caregivers experience high levels of stress and anxiety, which are leading causes of insomnia. Without proper treatment, insomnia not only leads to exhaustion and irritability, it may also develop into Chronic Fatigue Syndrome or severe depression. Losing sleep is common among caregivers, but problems arise when it becomes a nightly occurrence. Providing part-time or round-the-clock care for another person is incredibly taxing – especially if you have a husband, children, or secular job to worry about as well. You may think that you can juggle all of your responsibilities – and hey, isn’t everyone tired? – but your lack of sleep may begin interfering with your daily life and general well-being. Without respite, you may soon face burnout or a host of other health problems. Countless family caregivers have found relief by enlisting the help of a home care agency – specifically one that offers ClearCare Online’s innovative homecare system and homecare software, which gives real-time visibility to patient point-of-care. An important thing for family caregivers to remember is that they cannot care for someone else if they neglect caring for themselves. Taking time for rest and relaxation is vital for maintaining a healthy and happy life. While you may initially feel guilty to delegating care of your loved ones to someone else, you will rest easy knowing they are being cared for properly if you have access to point-of-care homecare software or homecare system. ClearCare Online’s homecare system is designed to help keep seniors safe in the comfort of their homes while providing transparency for their loved ones. Family members can log into ClearCare Online’s web-based homecare software to verify that the caregiver has arrived at their relative’s home thanks to a sophisticated telephony system that requires the caregiver to use the client’s home telephone to clock in. This reassurance really helps families get rid of the guilt they may feel for taking a break from caregiving. Avoid eating or drinking (especially alcohol) after 8:00 p.m. Develop a calming bedtime routine. Listen to soothing music, have a cup of “bedtime” tea, take a warm bath, or meditate. Exercise regularly - but not before bedtime. Avoid watching TV or using a laptop, tablet, or phone right before bed. Increase light exposure during the day. Check on your loved one’s via the Family Room portal of ClearCare Online’s homecare software to put your mind at ease. Make sure your room is not too warm or too cool, and dark enough for deep sleep. With a regular bedtime routine and the relaxation techniques mentioned above, most individuals can conquer insomnia. However, sometimes medical intervention is necessary. Your doctor may prescribe a sleep aid, or have additional suggestions for getting a good night’s sleep. To learn more about the benefits of ClearCare Online’s homecare system and homecare software, call one of our friendly representatives today.